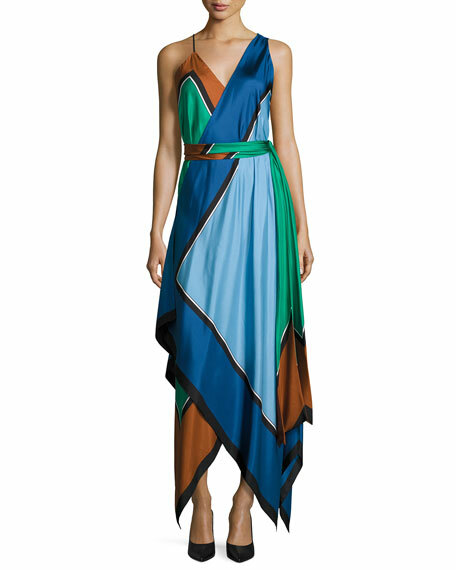 Diane von Furstenberg midi dress in colorblock crepe. From Look No. 17 in the Spring 2017 Collection. Sleeveless; spaghetti strap at right; thick strap at left. For in-store inquiries, use sku #2074315.